Vedanta's market value falls despite a decent rise in profits as investors shun mining and metal stocks. Anil Agarwal climbed up the business ladder at a fast pace. However, of late, things do not seem to be moving for his Vedanta group. First, it was denied permission to mine bauxite at Niyamgiri, Orissa. Then, it was hit by the mining ban in Goa, where its iron ore mining company Sesa Goa was based. Later, it faced challenges in merging Sesa Goa with Sterlite, a copper producer. The two finally merged in August 2013. In April this year, the company was named Vedanta Ltd. The merger has failed to bring good tidings for the entity. In the last one year, Vedanta's market value has fallen 40.8 per cent to Rs 46,405 crore, pulling down its BT500 rank significantly - from 21 to 46. This despite the fact that its standalone profit rose 79 per cent to Rs 1,927 crore in 2014/15. The biggest reason for this is depressed metal prices due to the slowdown in China - which is exporting its surplus metal production - and other emerging markets that has clouded the outlook for metal and mining companies across the globe. Excess capacity in metals and mining, say analysts, is going to keep prices subdued for a long time, making stock investors bearish on the space. Vedanta's subsidiary Cairn India has not fared any better. Its market value slipped 47.8 per cent to Rs 33,474 crore as crude oil prices fell. Its rank fell from 29 to 59. 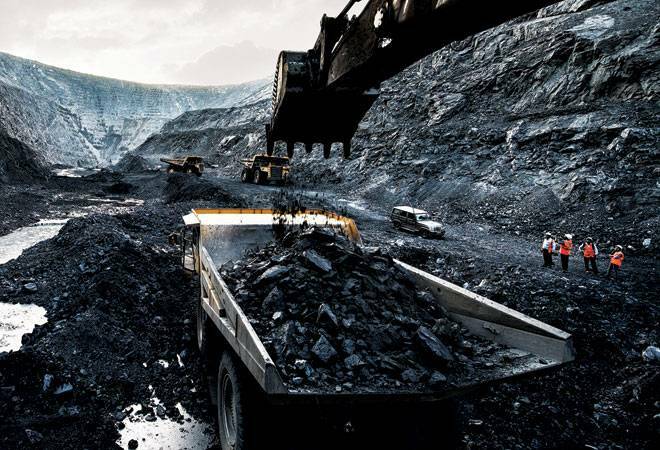 The group has sought an approval for merging Cairn India with Vedanta. The merger is expected by the beginning of next year. The only group company that hasn't been hit much is Hindustan Zinc - though its BT500 rank came down from 28 to 31, the average market value rose 1.6 per cent to Rs 66,904 crore. Slowdown in China has affected most metal companies across the globe, says Deven Choksey, Managing Director, KR Choksey Investment Managers. The consolidated revenue of Vedanta - including subsidiaries Cairn India and Hindustan Zinc - rose one per cent to Rs 73,364 crore in 2014/15 after comparing with the adjusted pro forma numbers of 2013/14. This was due to higher copper production, ramp-up of the Korba facility and commissioning of Unit I at Talwandi Sabo Power. Also, sale of iron ore from Karnataka partially offset weak commodity prices. EBITDA for the year was Rs 22,226 crore, 13 per cent less than in 2013/14. Financing costs due to acquisitions stood at Rs 5,659 crore. In addition, Vedanta announced an impairment charge of Rs 19,180 crore ($3.1 billion) for loss of value in Cairn India, which it had acquired for $8.67 billion in 2011. Vedanta owns a 59.88 per cent stake in Cairn India. Tom Albanese, Chief Executive Officer of Vedanta, recently told BT that the group saw the government's Make in India initiative as an opportunity. "Manufacturing requires enormous amounts of steel, iron ore, aluminium, copper, and oil and gas. That is where Vedanta's business power comes in," he said. 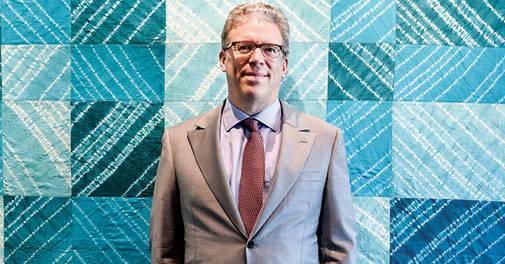 'We need to continue strengthening our balance sheet through further deleveraging and simplifying the corporate structure,' says Tom Albanese, Chief Executive Officer/Vedanta. In the first quarter of 2015/16, the consolidated revenues were largely flat at Rs 16,952 crore. Decline in crude oil prices by 44 per cent year-on-year impacted revenues by Rs 1,856 crore; this was largely offset by improved revenues from copper, zinc and power businesses. The EBITDA, at Rs 4,039 crore, was lower by 29 per cent due to steep fall in crude oil and aluminium prices. "Our diversified business model supported by operating strengths and structurally low-cost assets will give long-term returns to stakeholders," Albanese said after announcing the first quarter results. "We continue to focus on improving efficiency, lowering costs and enhancing production across our well-invested asset base." Albanese, who joined Vedanta about one-and-a-half years ago, is looking to take the aluminium facilities' operating capacity above the last year's level of 38 per cent. The other priorities include securing a local source of bauxite for refineries and smelters, enhancing iron ore mining in Goa and de-risking the oil and gas business from weak oil prices. "We need to continue strengthening our balance sheet through further deleveraging and simplifying the corporate structure. We will continue to have relentless focus on costs alongside capacity utilisation," he says. Vedanta's present market price is low considering its potential, according to Choksey. "The other positives are restarting of iron ore mining in Goa, rise in zinc demand and fall in exploration and production costs of Cairn from $35-36 a barrel to $30-32," he adds.